Rock These Easy Hairstyles By Poolside for Maximum Summer Fun! Summer means several things for everyone: free time, fun, frolicking, trips to the pool or beach and picking out a brand new wardrobe to help you look cute while you’re having so much fun! If you’re going to step up your wardrobe, however, you’ll need an equally adorable hairstyle to match. The only problem is the devastation all the best parts of summer leave in their wake where your hair is concerned. What can be done to guard your hair against pool chemicals and the constant sunshine? We have a few hairstyle suggestions for those interested in sun protection for hair! Bobs have always been an extremely popular look and show no signs of stopping. 2016’s newest variant introduces sleek waves cut into soft layers. The best part is you can maintain this hairstyle fairly easily! All you need is to get your hair cut and layered appropriately, then add in the wavy aspect yourself with the help of a curling iron or another styling tool of choice. Simply curl the middle section of your strands. You don’t want too much curl, after all! All that’s left is to comb your fingers through to separate the curls and give it a stylishly messy look. This style is perfect for those who want to keep their hair long and away from their face and neck on those days when it’s unbearably hot. 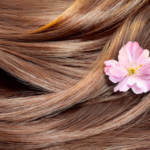 To start with, you’ll have to have freshly washed your hair, spritzed with your favorite protective hair serum. Afterward, you can start tying your hair up high, starting with a ponytail before bundling it up into a stylish topknot! You’re guaranteed to remain comfortable and look unbelievably cute at the same time. Ponytails are the classic style for every woman on the go, as well as every woman navigating through the summer months, while keeping their hair intact. While you shouldn’t wear your hair in super tight ponies every day, it’s a great way to style your hair comfortably every once in a while. This is another look that works best with freshly washed and dried hair. We recommend doing so with sulfate free shampoo and conditioner to help your ponytail retain that sleek and healthy sheen. Simply tie your hair up as normal and you’re done. Just be sure to stay away from metal hair ties! There’s no way to look bad with loose hair, especially if a bit of wave and body are involved! While this look is easiest for girls with natural curls and waves, those with straight hair can pull this style off too. Just take your wet hair and style it into a bun overnight. When you’re ready, you can let your hair down and enjoy your brand new, gorgeous waves. 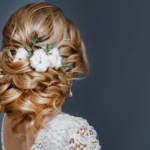 Contact us to learn other great ways to style your hair all year ‘round! We want to help you look and feel your absolute best.